'A diamond is forever.' Who among us doesn't recognize this slogan and, with it, the fascination that diamonds hold in our collective imagination as emblems of royalty, glamor, and eternal love? 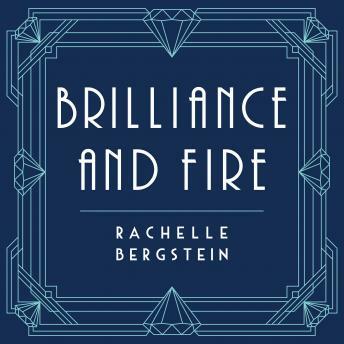 Rachelle Bergstein's cultural biography illuminates the enticing, often surprising story of our society's enduring obsession with diamonds-and the people who have worked tirelessly to ensure their continued allure. Whether in the gilded ballrooms of New York City at the end of the nineteenth century or on the red carpets of today, diamonds have retained their coveted status throughout history. Along the way, they have also become our culture's abiding symbol of true love and marriage (with more than a little help from an advertising agency, hired to accomplish just that). From the South African mines where most diamonds have been sourced since the late 1890s to the companies that have fought to monopolize them; from the likes of Audrey Hepburn, Elizabeth Taylor, and Kanye West, who have dazzled in them, to the people behind the scenes who have carefully crafted our understanding of their value-Brilliance and Fire offers a glittering history of the world's most coveted gemstone and its greatest champions and most colorful enthusiasts.